SEO - Search Engine Optimization Or Search Experience Optimization? SEO is not link building, not alone link building. Oh yeah, many do ask...I want my site to be SEO'ed. How many links do we require to rank top. Still many do not understand what's actually going on with SEO. To the people who understand what actually SEO is...to them...it is Search Engine Optimization and to the people who don’t understand what SEO is...to them...it is Search Experience Optimization. • Relevant information or products based on the search query. • Overall quality content to reduce bounce rate. • Fresh content without typos or grammatical errors. This increases time spent on the site and as well controls bounce rate. • User interaction information related to services or products. • Search Engine friendly website structure, SEF URL's, canonical, relevant file name for images, unique title and Meta related to page content. • Details like testimonials, news release and contact address improves trust ability and increases returning visitors & referrals. • Finally back links from relevant sites i.e. link popularity. Google & Bing algorithms have hundreds of signals to evaluate the site for ranking. Different elements of the above mentioned points will help to meet those hundreds of search engine signals which leads to search experience optimization. As we all know ecommerce website promotion is a big challenge in online marketing industry and social media promotional area helps ecommerce site promotion through both direct conversation and as well by influencing the organic listing. Here you can find 5 solid tips that can help you to win it. (1) Get to know where your type of customers are available - It can be from Facebook, Youtube, Twitter, LinkedIn, Google Plus, Pinterest etc. There are many social media site that can help your business to grow in sales volume or to increase you brand presence which can finally lead to a returning conversation. (2) Find your competitors and monitor what they do - Get to know the social sites in which your competitors are active and the content type they publish. Also look for the page views, followers, and fans of their social profiles how they involve in specific product promotion. 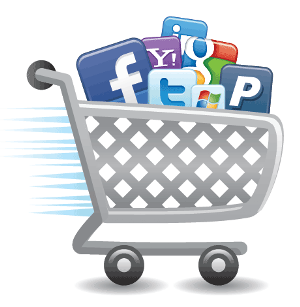 (3) Provide offers through social media - Mention exclusive Offers like coupon, holiday specials, free shipping etc. (4) Engage customers - Write interesting articles and blog posts about specific products and its features and post it in your social sites profiles. Ask questions / reply to queries and conduct poll to make the place lively. (5) Don’t use the company profile for direct product selling - Get facts and figures on your products and the specialty of the products. Make your company profile interesting and not boring. These are the basic tips that can be followed for a start. As you cover these...you will be learning new areas based on the profile insight popularity and conversion statistics. For more insight feel free to drop your lines in comment section. As we all know there are thousands of SEO extensions for Google Chrome. Here are the 5 SEO tools I would recommend to understand and improve the site SEO factors. This tool SEO for Chrome provides SEO Tools like to find Pages indexed, competitive analysis, keyword research, backlink checks, pagerank checks etc. A simple SERPS tool to check the position for a list of websites for a given keyword. This tool provides the Social Media information, external page data, HTML and CSS Validation etc. This tool stores the rank and backlinks history for selected sites. This tool shows the important SEO metrics and also compares link metrics for Google, Bing and Yahoo! with the SERP. These SEO extensions for chrome can help you get an overall audit of your website popularity and these tools can help to improve the site performance in a better way. Below is the list of questions that were used to reach this blog. Here are the straight answers for the search query. (1) How to add H tag in content? H tag can be used for page headings. Suppose if you have body content with different sub sections then you can use H1 tags for main heading and H2 tags for sub headings. In total there are H1, H2, H3, H4, H5 and H6. Note - You may apply your own style for H tags based on the site theme. (2) How blog help SEO? Yes blog helps SEO. Search engines like crawling blog topics that are categorized. Read more on Does Blogging help SEO? (3) How to configure SEO URL on blogger? In Blogger platform, your post Title is the Post URL, so make sure the title has the best suited topic name with keywords around. (4) Will SEO change for iPad compatible websites? Before considering SEO for search engines, users experience has to be considered for iPad compatible websites. Make sure that the site is displayed properly with proper page navigation for iPad devices. On other side make sure that the mobile xml sitemap is created and submitted in Google webmaster tools. (5) How can improve SEO using site map? Different level navigation links can be mentioned in the sitemap. Mainly the deep links have to be included in the sitemap as the crawler might find difficult to find the deep links. If it is a large site then a dynamic site map is recommended. (6) How does Google consider submission to paid directories? Paid directories with “no follow” attribute to your website is normal to Google. Paid directories can be considered for traffic and not to manipulate ranking. Read more on What type of Paid Directories does Google like? (7) How to find copy content? (8) How to rank a keyword through SEO? The page should have unique content that interests the users for the specific topic (keyword(s)). The page should have well defined title, Meta tags and topic name in URL and right natural backlinks for the specific keyword(s). Read more on Keywords 101. (9) How to use keywords density examples? Keyword density may vary from 2 - 8% based on the competition. The topic that is best than you competitors wins the result. Read more on Understanding Keyword Density. There is no fixed numbers on keywords used in Meta description. Make sure that you don’t stuff keywords. I see keywords repeated on an average of 2 times in Meta description and most important is that the page should have quality content. The “welcome” page should have at least a short note about the site, its services or products & location that is been marketed. Title and alt are used for images to describe what the image is all about. Different browsers use different format display the move over text for images. 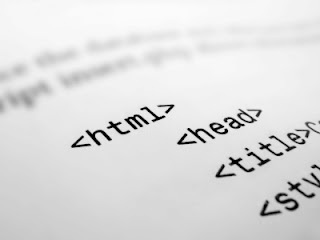 Google spiders will be getting the information of the image by reading the title or alt attribute from the source code. So using either way is fine. Read more on Alt attribute. 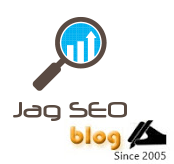 The blog post “SEO QA” will be a weekly update. Subscribe and stay tuned!